Colonial Tax Consultants has worked hard to set itself apart from the competition by continually working with its customers to have open, honest communication throughout the entire resolution process. Consumer reviews suggest that customers are generally satisfied with the service Colonial Tax Consultants provides. The company offers its customers all types of tax relief services, including both IRS and states taxes. This wide array of services is offered to customers across the country. Colonial Tax Consultants is comprised of a small team of tax attorneys and enrolled agents who specialize in resolving various tax liabilities and making sure their clients’ taxpayer rights are adhered to. The company is authorized to represent clients from any state in the country and is known for solving issues for both individual taxpayers and business owners. The majority of tax relief companies offer their customers free consultations to begin their process, but consultations are usually conducted over the phone. However, Colonial Tax Consultants offers its customers the option to complete a consultation over the phone or through email for a higher level of convenience. Tax debt does not always come from the IRS. Sometimes, it comes from state tax authorities. 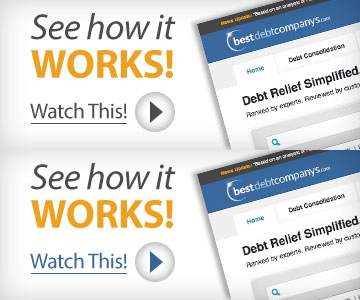 Colonial Tax Consultants is one of the only firms in the country authorized to work with both types of debt. 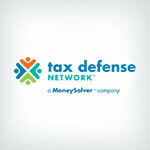 Each tax debt case is handled one-on-one with the tax professional and the client, which keeps things more organized and can give customers more confidence. Customers who are not satisfied with any of the services that they have received from Colonial Tax Consultants can get a full refund within 30 days, which is a longer refund period than what most other companies offer. Beyond the actual handling of tax debt cases, Colonial Tax Consultants has solution guides that show the customer what they can expect from different situations and solutions. Customers of Colonial Tax Consultants will have to complete their their free consultation in order to get a price estimate for services because the company has not disclosed pricing information on its corporate website. Since tax debt is such a critical situation for a customer’s personal life, it is important for many of these individuals to be able to find out as much as they can about the company that will be handling their case. Unfortunately, Colonial Tax Consultants is not entirely transparent about its company history and information. Another important aspect in many customers’ decision-making process is how accredited the company is by reliable, trusted organizations. Colonial Tax Consultants has not been accredited by any major industry associations, including the ASTPS, the NATP, and the NAEA. For those customers who are worried about having to choose a company to represent them in tax resolution, Colonial Tax Consultants is a safe choice. Its reputation shows how positive the majority of its customers’ experiences have been. The services provided by Colonial Tax Consultants match up with those in the industry but are backed by a 30-day money back guarantee. Those two aspects combined can help customers take the leap to start the resolution process and be represented by Colonial Tax Consultants. However, customers should also be aware that Colonial Tax Consultants has no accreditations, and to get an accurate look at pricing, they will need to complete the company’s free consultation.